My local GW store in Bear, DE is doing a thing where if you're able to paint a Battleforce or Battalion in 30 days, you get a cool looking patch that says Ready 4 Battle, or something like that. I decided to go with an Ork Battleforce. My plan is to ultimately have a Grot only (as close as I can get) allied detachment. I'm thinking that this will be doable with a couple of very large Grot squads with some Killa Kans and maybe a Big Mek Conversion to give all the Grots a cover save/invuln. I don't really remember how exactly the Kustom Force Field works. I'm thinking I would just model up some sort of custom force field conversion and have a couple of grots poking at it. 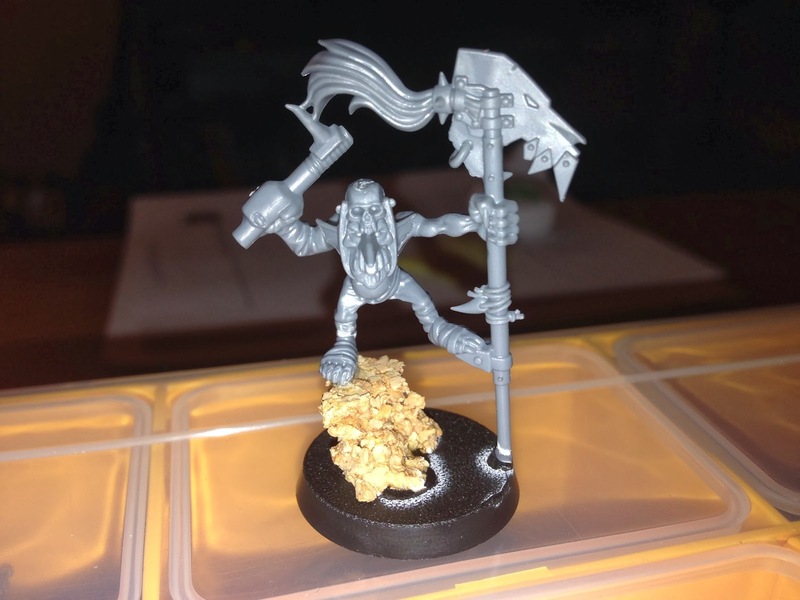 Here is my standard bearer grot. He's from the Biker Kit.